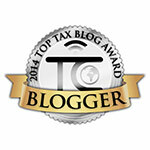 The Buzz About Taxes: Moving On In Life? How That Can Be Tax Deductible!! Moving On In Life? How That Can Be Tax Deductible!! It was Walt Disney who said, "We keep moving forward, opening new doors, and doing new things, because we are curious and curiosity keeps leading us down new paths." The world is shrinking and this quote has never been truer for us. Our professional lives no longer have the same boundaries as before. And we move for work & yes, the Internal Revenue Service (IRS) recognizes that and lo and behold lets us deduct moving expenses on our tax returns. Your move must be closely related both in time & place with the start of work at your new job location. The time provided by the IRS is a year from the date you first reported on the new job. It is not necessary that you have to arrange to work before you move to the new location. If you are in the Armed Forces as a current member/retiree/survivor, there are separate rules applicable to you. You must pass the Time Test. If you are an employee, you must work full time for at least 39 weeks during the first 12 months after you start in the "general area" of your new job location. You may be self-employed or a seasonal worker to pass the time test. Special rules may apply. Temporary absence from work due to illness etc is allowed. You can deduct moving expenses for a move to a new home if you permanently retired and were living & working abroad. You must also be considered permanently retired. Survivors of Decedents Who Were Working Abroad: If you are a spouse or dependent of a person whose main job location at time of death (TOD) was outside the US, you can deduct moving expenses. However you have to fulfill the requirements of moving: move to a home in the US of A; move must be within 6 months from TOD; move is from the decedent's former home; this home was outside the US; the decedent's home was also the home of the spouse/ dependent. When Does the Move Begin For the Above 2 Purposes? : The move is considered to have begun if either you contract to move your household goods; OR your personal effects are packed and are on their way to your new home; OR you leave your home to travel to the US of A. Deductible Moving Expenses: Only expenses which are considered "reasonable" are deductible. These expenses are those incurred for moving your household goods & personal effects, which include in-transit or foreign move storage expenses. You can deduct cost of travel including lodging but not meals on your way. If you use your own car to drive to the new home, you can deduct actual gas & related vehicle expenses or 24 cents/ mile. You can also include parking fees, tolls to either standard mileage or actual. You can deduct cost of packing, crating & transporting your household goods & personal stuff, connecting & disconnecting utilities, cost of shipping your car & household pets. Needless to say, you have to maintain receipts of all expenses incurred. Do Not Double Dip: Do not take both a moving expense deduction and a business expense deduction for the same moving expense. Subtract reimbursements if any from your expenses. Form 3903 is used to deduct Moving Expenses and the number flows to the first page of the Form 1040, line 26 as an "Adjustment to Income". Bibliography: Form 3903 Instructions; Publication 521. Most problematic is uncovering the details about a qualified move. As you convey, taxpayers need good records or else they find themselves in the uncomfortable position of the individual in a sample case from Enrolled Agent exam study described at http://fastforwardacademy.com/blog/2013/01/07/moving-expenses/. The trouble I usually have is pointing out to someone who is eligible for a tax-deductible move that only the cost for one trip is counted. A person cannot deduct all the excursions back and forth between the former home and new home. Absolutely. I thought the illustration best explains that. Thanks for bringing up the cost of the one trip. Good point.